The NBA Playoff picture is becoming more clear: With just one more day left in the NBA regular season, the NBA Playoff bracket for the 2018-19 post season is still very much up in the air. With the exception of the Detroit Pistons controlling their own destiny as they face the hapless Knicks for the #8 seed in the East (with the Charlotte Hornets having a slight chance of making the post season), the franchises competing in this year’s post season is set. 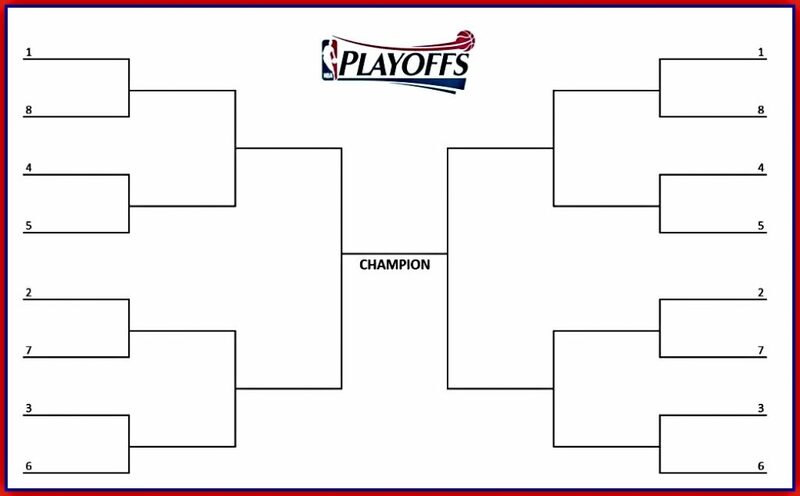 The NBA playoff picture is mostly-set for the 2019 NBA Playoffs to start. That means that the NBA Playoff bracket is nearly there too. We wont know the exact seeds until after the final regular season game, but we still have an NBA bracket at the ready if you’re looking to get a jump. The Milwaukee Bucks have not only locked up the Eastern Conference, but will be the overall #1 seeded team in the post season. That means Giannis Antetokounmpo, Eric Bledsoe, Khris MIddleton and gang have home court advantage throughout the NBA playoffs. On the other side are the Golden State Warriors led by their insane lineup of superstars. Steph Curry, Kevin Durant and the Warriors will be the #1 seed in the Western Conference after pulling away from (and recently destroying) the Denver Nuggets. We took a long look at the NBA’s official key dates page to determine 2019’s expected NBA playoff schedule. The entire tournament field will feature 16 teams from the Western and Eastern Conference; eight teams from the East and eight teams from the West. The NBA Playoffs start on Saturday, April 13, 2019. Below you’ll the updated seeded match-ups for the teams that have already locked in their spot. The remaining open spots will be determined with the last slate of games to be played on Wednesday, April 10, 2019. The dates for the following NBA playoff rounds can be moved up based on when previous rounds finish. Dates: Begin shortly after the 2019 NBA Playoffs Quarterfinals Round is complete on around May 3, 2019. The NBA Playoffs Conference Finals will kick off on either May 14th or 15th, 2019 (depending on when the previous round ends, there’s a chance these dates will move up to May 12th or 13th). When are the 2019 NBA Finals? The 2019 NBA Finals is tentatively set to start on May 30, 2019. That date is working off the conference finals and the previous rounds are expected to complete. As is always the case with the NBA Finals series, the Western Conference Champion will go up against the Western Conference team that comes out of their side of the bracket. The NBA champion will be determined by the team that wins four games in the best of seven format. 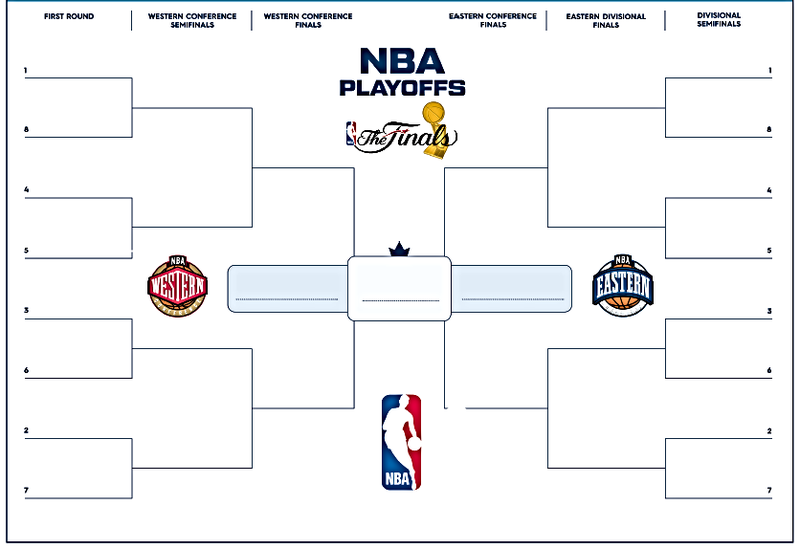 You can download this 2019 NBA Playoff bracket above in image format or this version in PDF format to keep up with which teams have advanced and which teams were eliminated. Now that the official schedule and picture is coming into focus, this fillable NBA bracket we have provided is going to become increasingly more important. With the NBA picture in flux as of this post, here are the NBA’s official tiebreaker rules here In a nutshell, this is what you you should know about teams that have identical records: When two franchises end up with the same record, the primary tiebreaker is how the teams fared against one another or their head-to-head season series.